Healthy, long-lasting smiles require a big dose of preventive care. When you attend a checkup and cleaning every six months, the Midcity Dentistry team can ensure your teeth stay clean to keep cavities, infection, and other oral health hazards at bay. 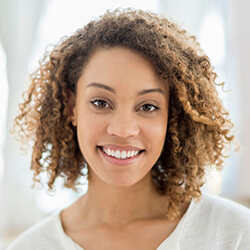 Other services, like custom-fitted night guards for bruxism and regular oral cancer screenings, provide extra preventive help for patients who need it. Request an appointment with preventive dentist Dr. George Michaels today! Starting around age 2 all the way through adulthood, patients of all ages can benefit from a checkup and cleaning every six months. 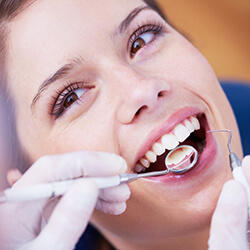 With regular attention, your dental team can detect issues like decay, gum disease, oral cancer, faulty dental work, and other problems almost as soon as they develop — and that greatly reduces the risk that you will ever need complex, costly, or uncomfortable procedures. 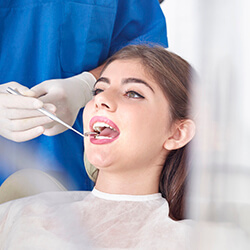 During a biannual visit, your dental hygienist uses special tools to remove the plaque and tartar that have had the chance to build up since your last appointment. We will also capture digital x-rays to get an in-depth look at your teeth and gums. Then, your midtown Atlanta dentist performs a thorough examination of your mouth, all surrounding oral structures, and any x-rays we’ve taken. Based on our findings, we will make a recommendation for special preventive treatments or put together a restorative treatment plan as needed. Teeth grinding and jaw clenching, the condition known as bruxism, can have serious effects on the health and appearance of your smile. Some people temporarily grind their teeth or clench their jaws during times of stress, but the chronic condition requires treatment from your dentist. In addition to harming your delicate tooth enamel, bruxism can also cause headaches, migraines, and facial/ear pain. If you suspect you are dealing with the effects of nighttime teeth grinding and jaw clenching, you should seek a diagnosis and treatment for bruxism from your dentist. In midtown Atlanta, Dr. Michaels treats bruxism with Bitesoft, customized night guards that you wear during sleep. 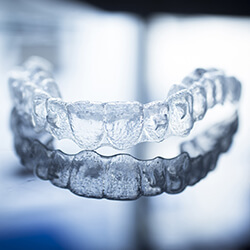 It’s a drug-free, noninvasive, reversible alternative to other teeth grinding treatments that works using clear plastic to prevent teeth grinding and clenching and protect your teeth during the night. Your TMJ, or temporomandibular joint, is the complex network of ligaments, nerves, and bones at the junction of your ear and mandible that allows your jaw to function properly. When something is off with its alignment (whether due to injury, nighttime teeth grinding, or an improperly aligned bite), you will feel pain and likely have a clicking, popping jaw. Your dentist at Midcity Dentistry diagnoses and treats TMJ/TMD so you can eat, chew, and speak without any pain. The statistics associated with oral cancer are alarming — estimates say that one American dies from the disease every hour. Even more startling is that rates of oral cancer are on the rise. Fortunately, early detection greatly aids in the successful treatment of oral cancer. When you come in for a checkup and cleaning, Dr. Michaels will perform a thorough screening, checking for indications of precancerous or cancerous cells. Our VELscope oral assessment system uses fluorescence to make identifying suspicious areas easier.